2017 shirts available for a limited time from the FSF online shop. 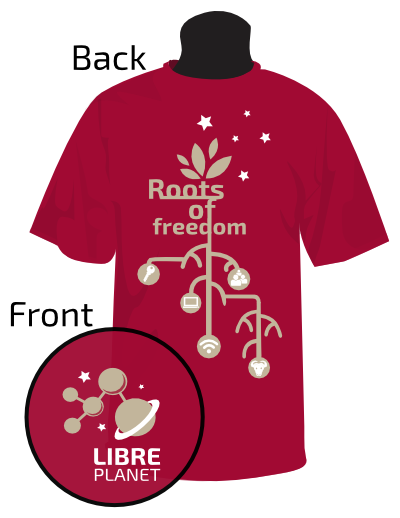 Register here to join us at LibrePlanet 2017, on March 25th and 26th at the MIT Stata Center, 32 Vassar Street, Cambridge, MA. Coming from out of town? Check out our lodging recommendations.